His "twilight" has been proclaimed many times. Experienced observers, however, were not misled. If this commentator has correctly summarized the true situation of the Common Market even without Great Britain's participation, several political conclusions must be drawn. First, the US has no strategic or economic interest whatever in exerting any type of retaliatory pressure, and it is plain from his press conference of February 14 that Kennedy takes this view. To be sure, Macmillan has told the House of Commons that he will request a joint UK-US approach to any US negotiations with the Common Market; but this can be dismissed fairly lightly as a face-saving gesture and as a reaction to a French stand which is considered humiliating. The only recourse left to the United States is to induce Italy and Germany to participate in a multilateral nuclear force on the same terms already accepted by the British. Any idea of isolating France economically is out of the question. 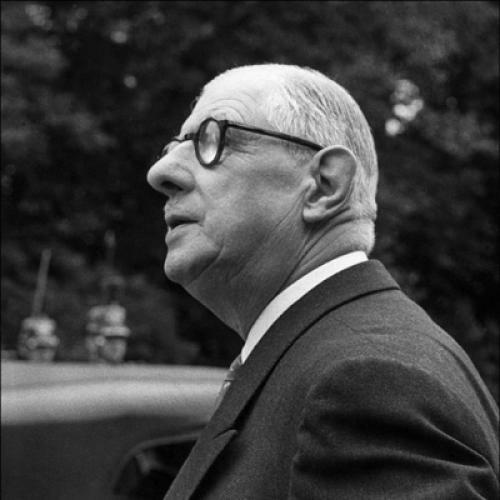 Secondly, all indications are that General de Gaulle timed his explosive statements of January 14 with deliberate care. Although it was he who, in times gone by, spoke out against the concept of a European economic community, it is not hard to understand why, since his return to power, he has done everything in his power to extend the Coal and Steel Community and even to favor the setting up of common and supranational institutions. It would appear that he has discovered what a perfect implement Europe can be for carrying out a policy he has dreamed of since the very beginning, namely: a role of equality for France vis-à-vis the United States in world affairs, and a revising of the division of power which Roosevelt and Stalin established at Yalta. The third political conclusion which emerges along with the fact of the Common Market's proven stability and power is that Great Britain had many reasons for seeking entry into the European union, and she was grievously wrong in delaying this project so long. Jean Monnet, who went to London in 1950 seeking —in vain—to win over the then British ministers (including Sir Stafford Cripps), foresaw from the beginning that the British would reverse their policy, not so much for economic as for political reasons. In the present situation, one can but speculate as to what de Gaulle plans to do now that he has achieved a victory as precarious as it is temporary. He can, of course, be portrayed as a great man in a vanishing tradition of the past century, and Louis Halle's recent article in The New Republic elaborates on this theme with extraordinary accuracy. One is compelled to wonder, however, if certain currents of ideas which influenced the 19th Century are not also to some extent applicable in our own time. For example: are we not today witnessing a furious renaissance of nationalism among the new countries of the uncommitted world? Does the Near East of today not remind one of the Balkans of yesteryear? Did not Stalin build up an empire which made it possible for General de Gaulle to make a common cause with him which superseded the conflict of ideologies? In the last analysis, is there not still a latent chauvinism deep in the heart of all nations which need only be tapped to spring forth? Of course one cannot claim that the natural course of History necessarily encompasses all these factors, nor that they constitute Progress. But this is not enough to justify the conclusion that “de Gaulle is in his twilight.” Success can be achieved with old ideas, and it is possible to do the right thing for the wrong reasons. An example? Surely Algeria is one. If at the end de Gaulle achieved the emancipation of the French colonies, he most assuredly accomplished this in the name of a very contemporary sort of realism and of an opportunism which is not anachronistic. But above all, he succeeded because he did not want the nine million Moslem and Arabian Algerians to intermix with the forty-six million Christian French and Europeans. This seemed to him contrary to “the nature of things” and to the destiny of France. Thus, for reasons of a sort of secret racism, de Gaulle promoted public progress, whereas Soustelle, who saw no difference between the Algerian peasants and those of his native province of Cevennes, became the champion of backward policies through ideas which were in principle generous. And how many modernists realize that Emperor Napoleon III was far more liberal toward Algeria than the combined leftist regimes of the Third and Fourth Republic? States which attracts to his cause the European victims of American blunders, plus those elements which are anti-American for reasons of chauvinism, and, secretly, those who vote Communist, though he has not, of course, won over the Communist Party itself. In short, to make “the voice of France” heard loud and clear, he is capable of going very far in terms of contradiction, inconsistency, and audacity. But it is possible that he will succeed, and it would be better for the world at large to realize this. His “twilight” has been proclaimed at least six times since 1950. And each time he has proved that he was at his zenith. This article appeared in the March 2, 1963, issue of the magazine.